The more you travel, the better you will understand life… and yourself. Warning: some lessons listed in this article are more serious than others. 1. If a hiking guide says: “we are almost there”, they are lying to you! 2. It is Ok to applaud after landing in Queenstown airport on a windy day. 3. Never go to the bathroom if the barman hands you a key attached to as oversized random item. 4. A Canadian traveller will always have a Canadian flag somewhere on their bag. 5. If somebody can convince an entire country that beetroots and eggs in a burger is a good thing, you can do anything! 6. You cannot feed an Abel Tasman sandfly and expect it to get full. 7. Never ever use a small ATM in a crowded bar unless you are ok with a $5 fee! 8. Whatever town you go to there is always a burger joint, a pizza place, and an Irish bar. 9. 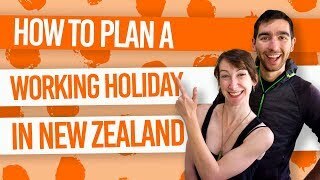 Thinking that Wearing your heaviest clothes on your flight to New Zealand is the best way to reduce luggage weight, but it is the worst idea ever! 10. A bus timetable is more like “guidelines” rather than actual times. 11. The weather forecast in a country that has “four seasons in a day” is like playing darts blindfolded. 12. If your guidebook uses the terms: “rustic, authentic or historic,” to describe a town, you should drive straight on through. 13. 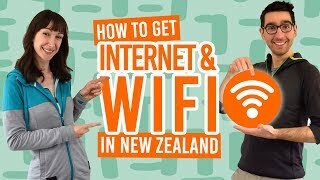 You will never take free WiFi for granted again once you leave New Zealand. 14. Learning to enjoy the fact that nothing ever goes according to plan. 15. A tourist knows when they are going back home… a backpacker doesn’t. 16. You can never take enough photos of a waterfall. 17. A True friendship can be created in a matter of days, if you go through the best (or worst) time with someone. More backpacker life lessons can be learned in our other articles. Like this little chestnut: 16 Classic Backpacker Problems or even that one: 15 Backpacking Myths Busted!